We stopped in Beaver County to check out the Timberline Inn Restaurant for our series of best restaurants in every county. 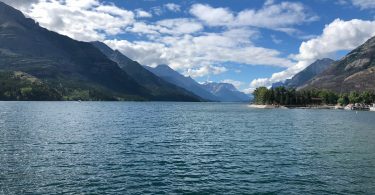 The Timberline has been in operation for over thirty years and has a great reputation. It is located right in Beaver city just off the freeway on the west side, which makes it a great place to stop if you’re hungry on the I-15. The waitress was so good to our boys. 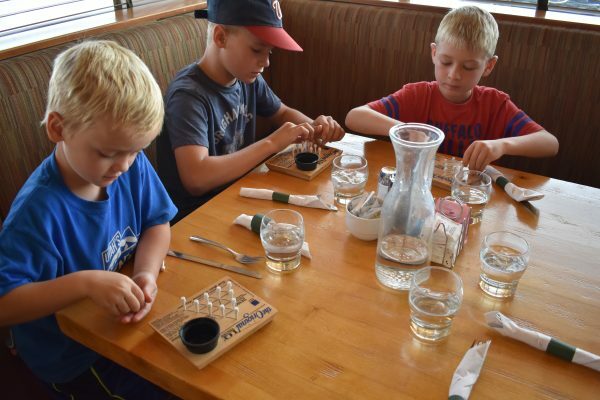 After they ordered she brought them small peg games to play at the table. They really enjoyed jumping pegs, and it made the wait seem so much shorter. 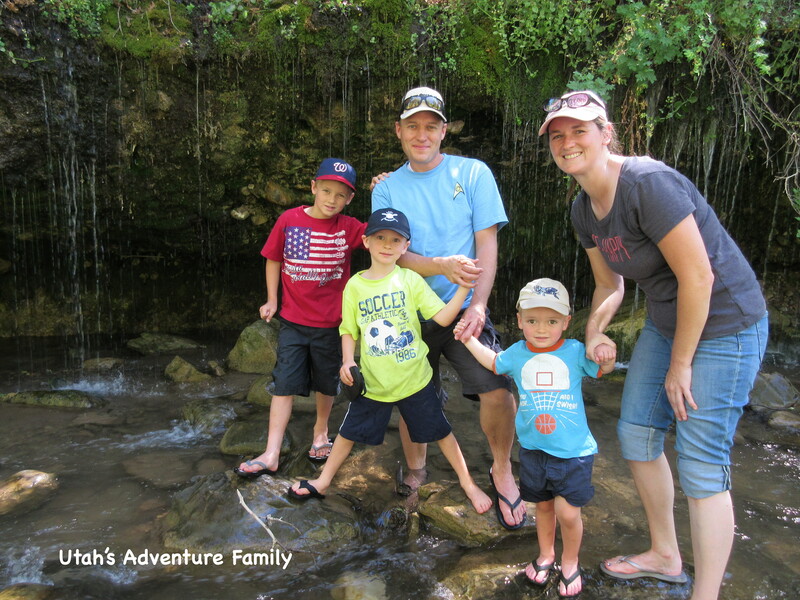 Our kids didn’t mind a short wait! The food was really good at Timberline. 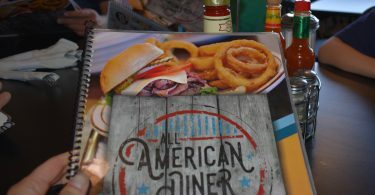 This restaurant offers the usual diner food including burgers, salads, and breakfast through lunch time. There is also more upscale fare including steak and seafood options, as well as pastas. 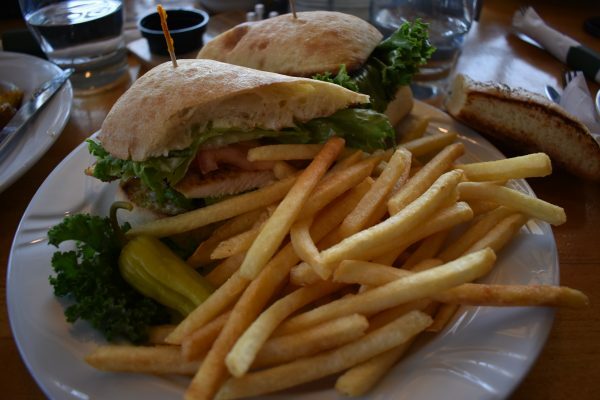 Since we were at the Timberline Inn for lunch, we had a Timberline Burger and a California Chicken sandwich. Both were very tasty, but the Chicken Avocado was a real winner. It had avocado, tomato, and grilled chicken on a ciabatta roll. The burger had sauted onions, peppers, and mushrooms. The portions were really generous, too. The portion sizes were huge. Mom got the Chicken Avocado Sandwich and she highly recommends it. It was delicious! 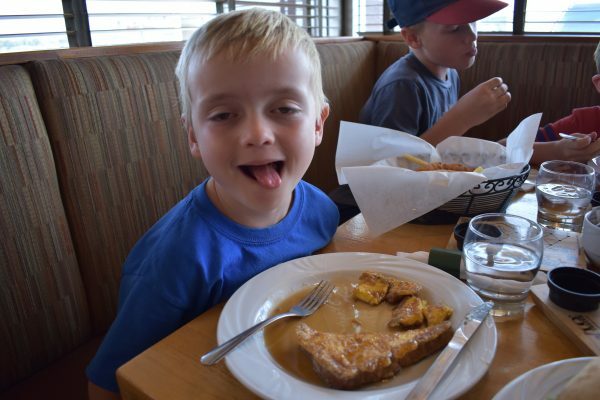 We were there for a late lunch, so our boys were excited they could still get breakfast! After we finished our meals, we wanted to try something special. 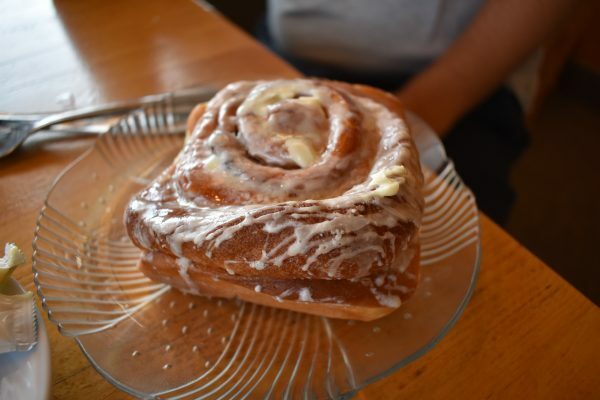 The waitress, who was really attentive, recommended the cinnamon roll. After our family shared the first one, we had to order a second! It was our favorite part of the meal. The cinnamon rolls were excellent! 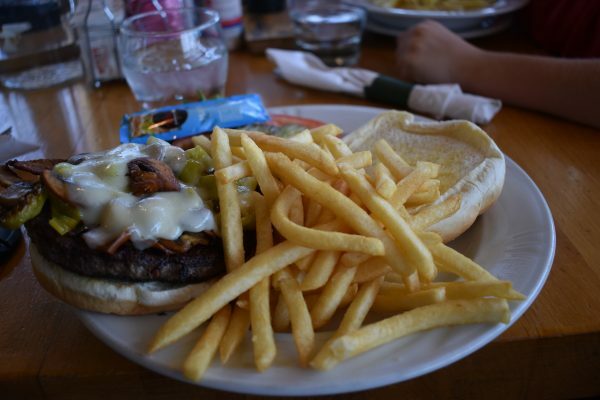 Next time you’re coming up the freeway, skip the fast food and sit down at the Timberline Inn. It’s our favorite restaurant in Beaver County. Check out their menu here. 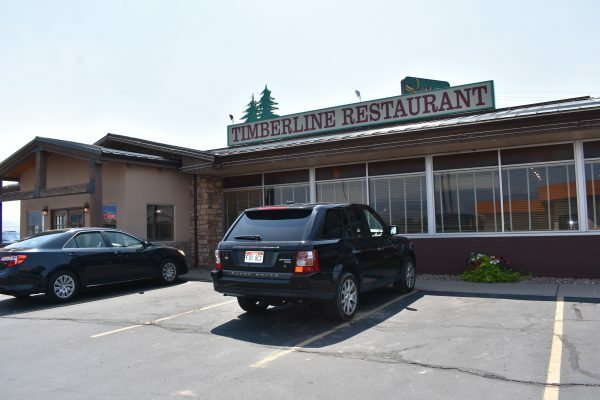 Timberline Inn Restaurant is located off exit 109 off the 1-15 in Utah. Head west off the exit and the restaurant sits behind the gas station.